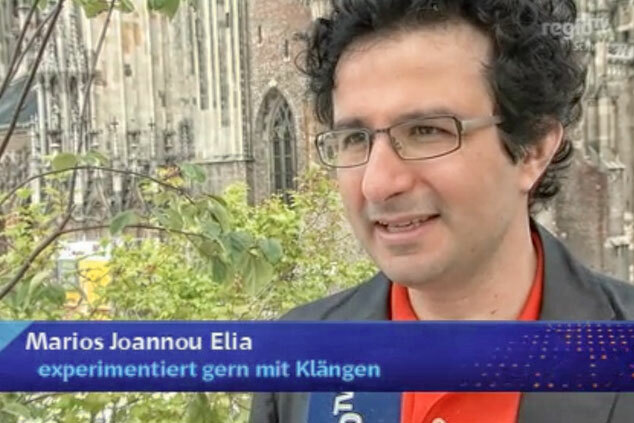 Elia has been named as one of 2015’s most important persons in the metropolitan region of Swabia (southwestern Germany) – representing arts and culture. 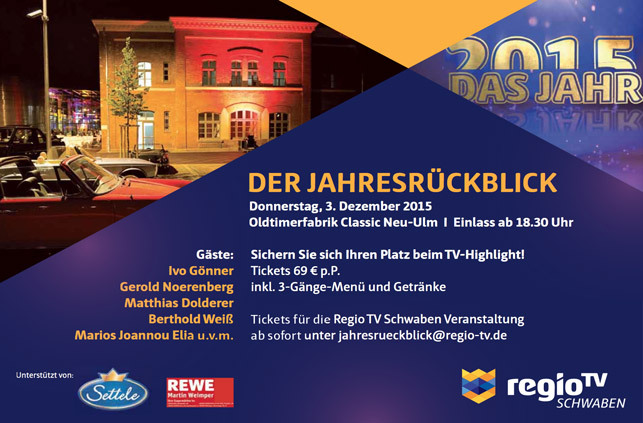 On December 3 he was one of the prominent guests (among lord mayors, a Red Bull pilot and a plastic surgeon) at the RegioTV Gala in Neu-Ulm, where he discussed his contribution to Swabia’s artistic and cultural scenery. He referred to surprises and discoveries generated through his contribution to the arts and cultural advancement of Swabia, and vice versa. 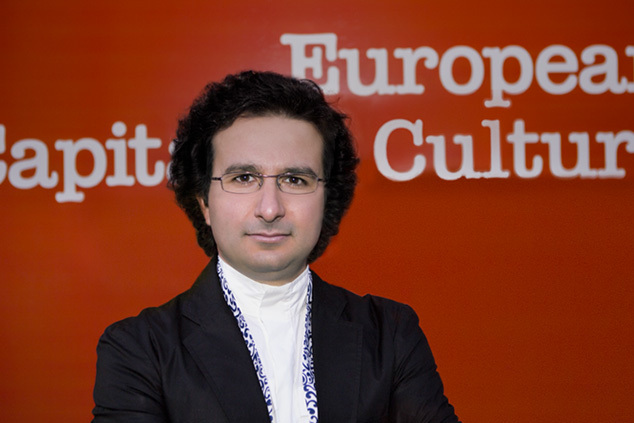 As an expert of the European Capital of Culture initiative, Marios Elia was invited by NRW Kultur International and Goethe Institut to the Ruhr.2010 district in order to exchange ideas with representatives from art and creative economy as well as cultural politics on potentials, perspectives and sustainable impact of the “Capital of Culture”. 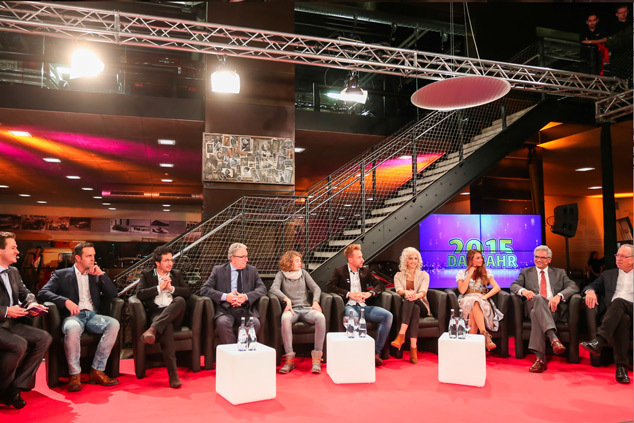 Among others, high-level discussions took place in Düsseldorf (NRW Ministry of Culture), Gelsenkirchen (Urbane Künste, Ruhrtriennale International Arts Festival), Wuppertal (NRW Kultursekretariat) and Essen (Zollverein). 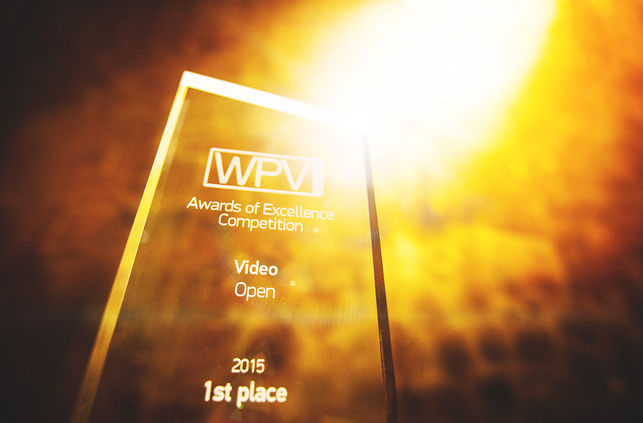 On March 8th, the music video “Soliloquy” directed by Aris Akritidis (protagonist Mia Zalukar) was awarded First Prize and the “Award of Excellence” at the WPV Convention Athens. 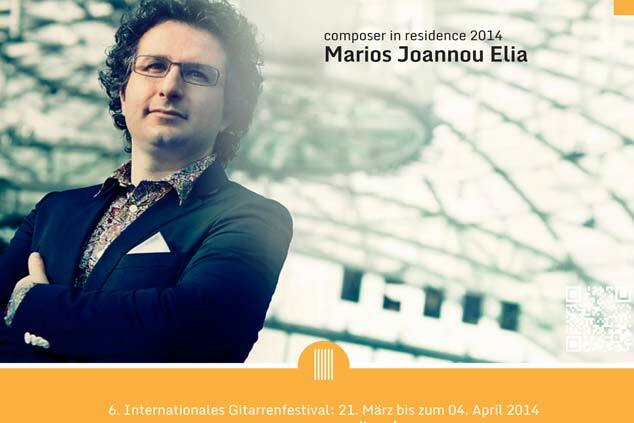 Elia’s “Soliloquy” was recorded at ORF Studios in Vienna by Kostas Tosidis (guitar). 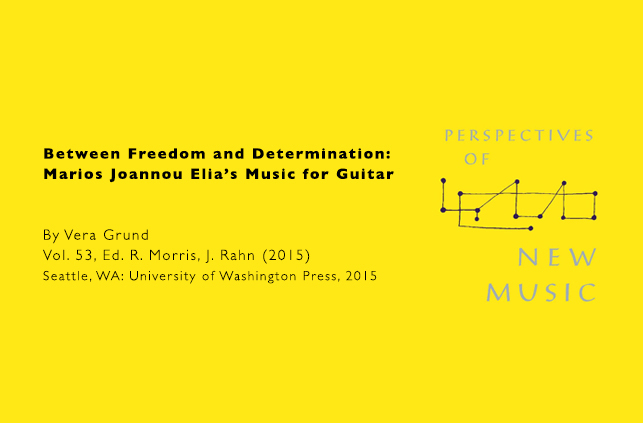 It is included on the CD Album “”Staubzucker – Guitar Music in Ensemble Formations” (Aesthis Records). The article “Polymedialität als Konzept” elucidates Elia’s concept of polymediality and its application (with concrete examples). It is published in Thomas Hochradner’s (ed.) 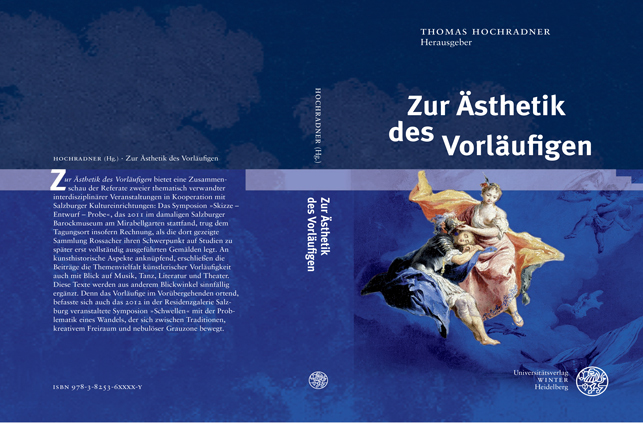 book entitled “Zur Ästhetik des Vorläufigen”. The award aims to recognise those who have shown tremendous courage, strength and determination, worked tirelessly within the community and overcome tragedies with a smile. 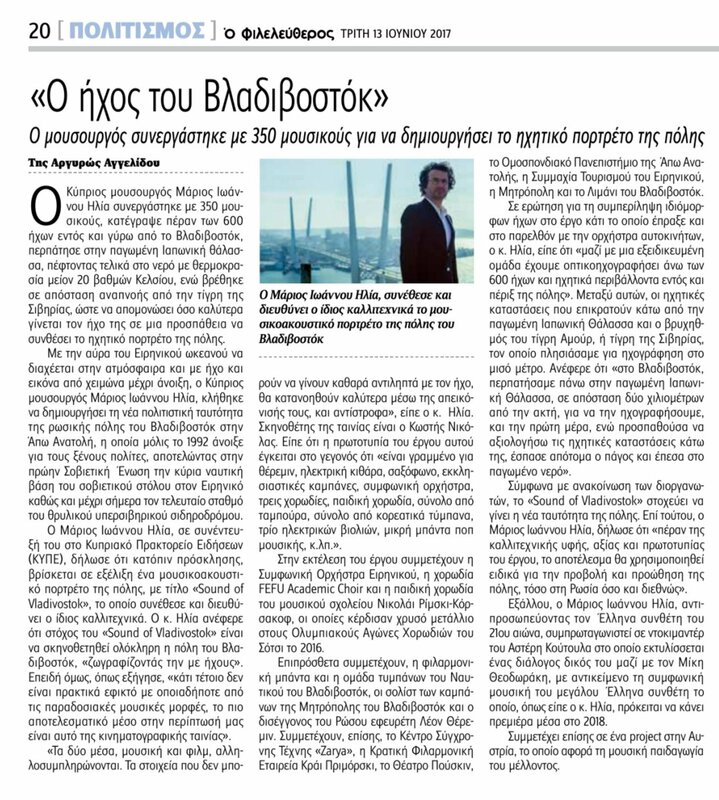 “It is an honour to be the patron, as helping each other is such an important part of a successful community,” said Marios Elia at Cyprus Weekly. Galerie der SÜDWEST PRESSE, Eingang Olgastraße, 89073 Ulm, Germany. 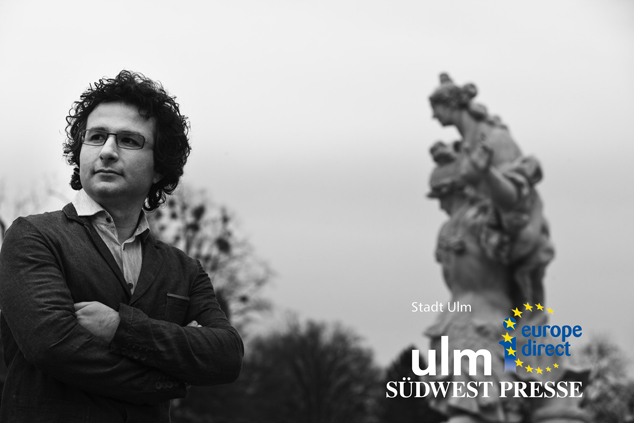 Organized by Stadt Ulm, Europe Direct Ulm and SÜDWEST PRESSE. The Lecture will be followed by a discussion with the audience, moderated by Ivo Gönner, Lord Mayor of the City of Ulm, and Ulrich Becker, chief editor of Südwest Presse. 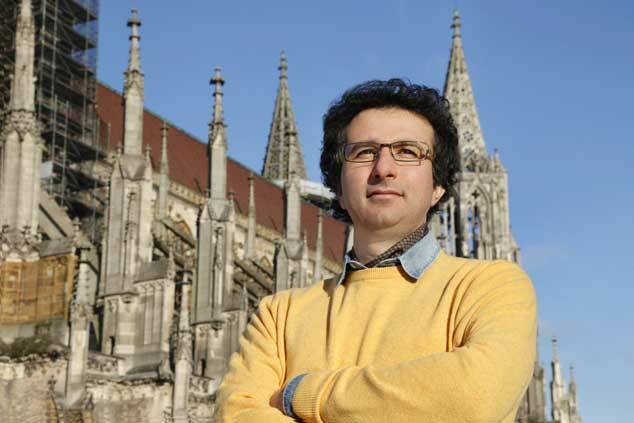 The cathedral tower in Ulm will be 125 years old in 2015. 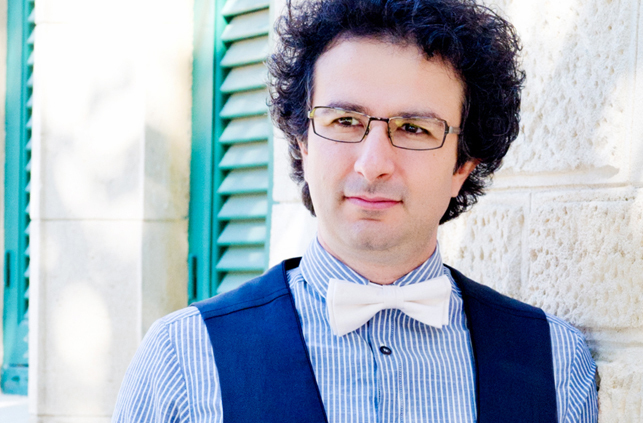 Contemporary composer Marios Elia has dedicated a celebratory musical work to honour the occasion. 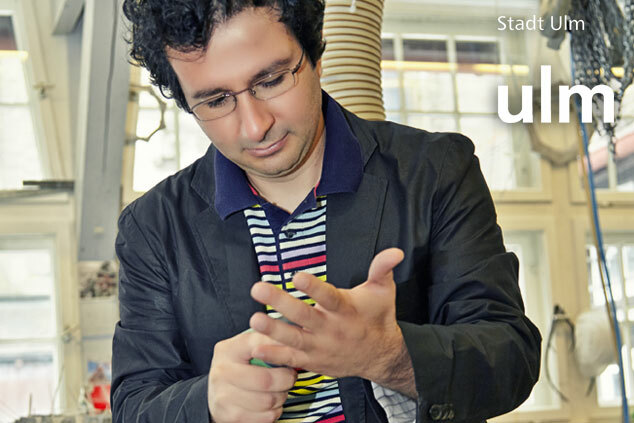 Here he will explain the first sound experience that was influential in his career, how he is inspired by Mendelssohn’s oratorio “Elias” and how he integrates machinery in his work. 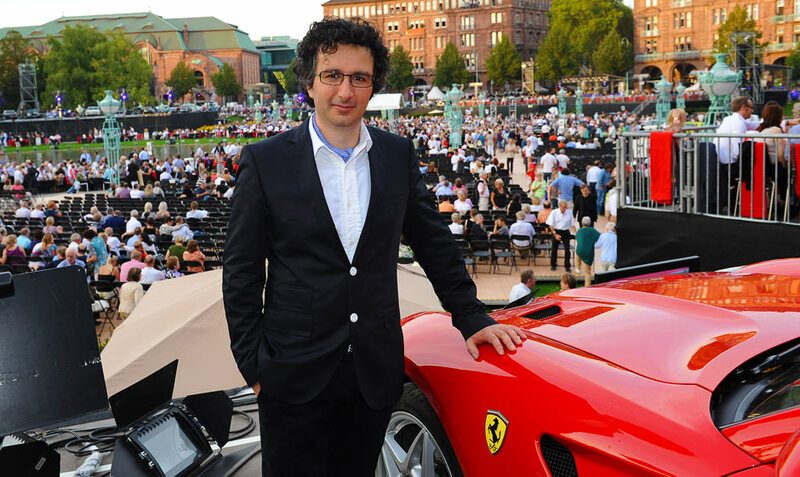 The promise … what the car offers man. It bestows power, offers independence and touches the emotions. Car sounds that have to do with opening something fill this act: the fuel tank cover, the container for the windshield wiper fluid or the electric door of the bus. The climax is a tenor solo which reminds us of Carl Benz. 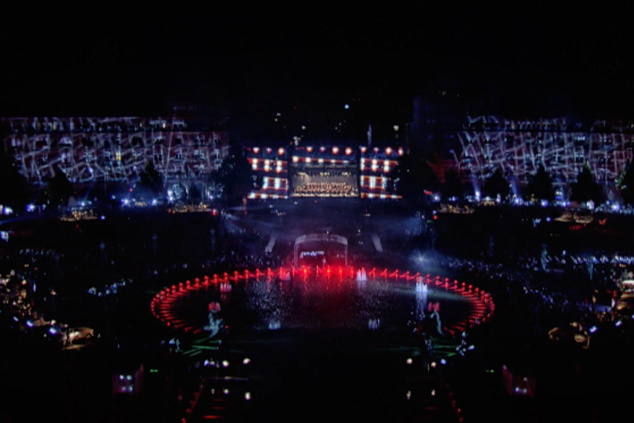 The video, an overview of the 2011 world premiere, will soon be available online. 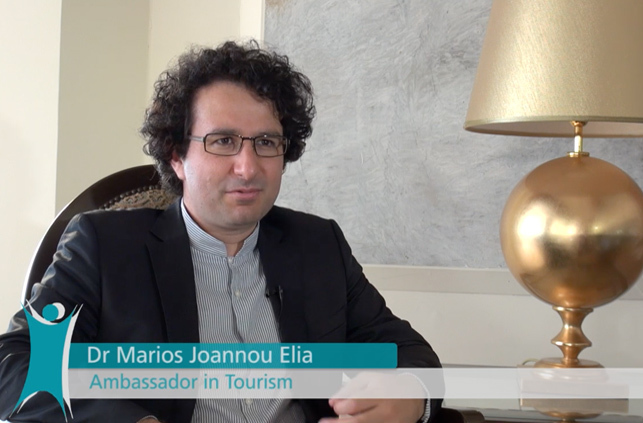 Marios Joannou Elia was featured on the January 6 episode of “Entexnos” which is a 30-minute cultural show that airs on the national television station of Cyprus. 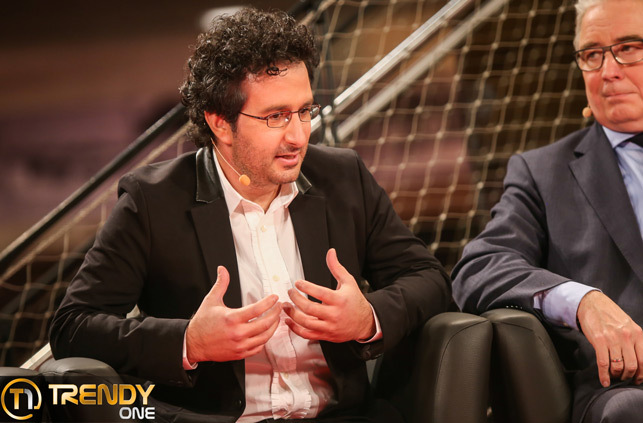 As artistic director of the European Capital of Culture 2017 he unveiled his strategy regarding the plans for the programme. 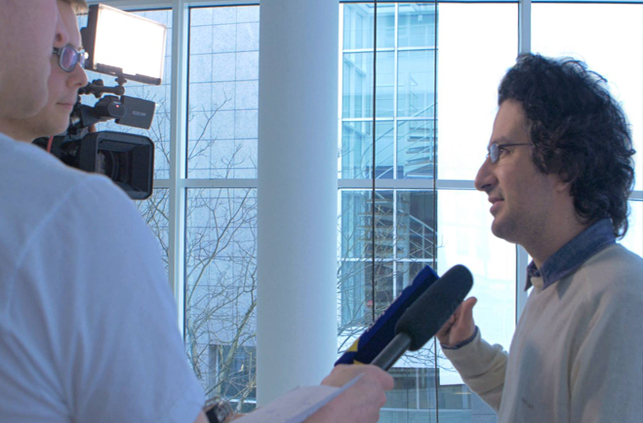 Throughout the interview, the host made constant references to the internationally acclaimed projects that Elia created in Germany and Austria. 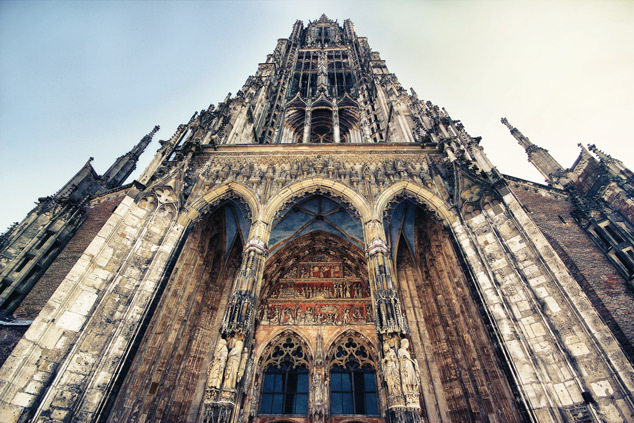 Elia has been commissioned by the City of Ulm to compose ULMER ORATORIUM, which is an open-air music spectacle for over 400 musicians – the highlight of celebrations for the 125th anniversary of the completion of Ulm Minster (2015) which is the tallest church in the world. 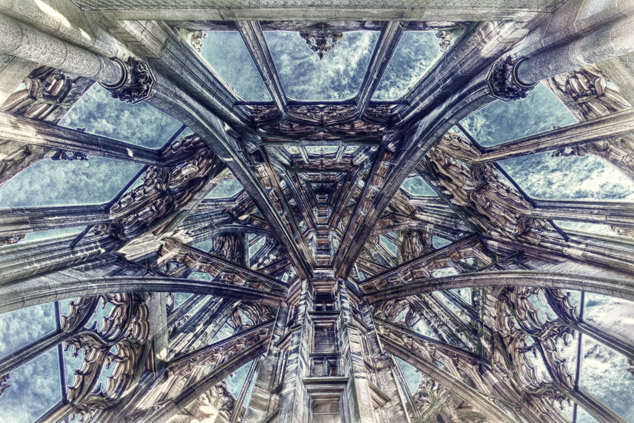 The premiere will take place at the Muensterplatz, the central square of the city (in front of the church) and will be performed by the Ulm Minster Chantry (motet choir, oratorio choir and children’s choir), Philharmonic Orchestra of the City of Ulm, Theatre Ulm (singers, speakers, choir), Junge Blaeserphilharmonie Ulm and Ulmer Spatzen Children’s Choir, amongst others. 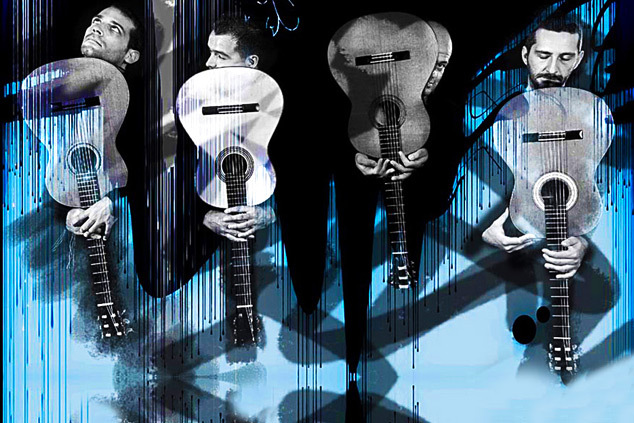 The renowned british magazine Classical Guitar described STAUBZUCKER as “a performance which one is not likely to forget”. This work will be performed twice in May in Salzburg (together with APOPHIS): At the Large University Auditorium on May 22 (Grosse Universitaetsaula Salzburg) there will be the grand opening celebration of Literaturfest Salzburg, and Jazzit Music Club, “one of the Top Jazz Venues in the world”, on May 29. The Tetrakty Cuarteto de Guitarras will make the Mexican premiere of the piece at Palacio de las Bellas Artes, Mexico City on June 2. Furthermore, the Trio InVento will perform the same piece on paetzold records at Ragenhaus in Brueneck, Italy on August 24 (Summer Concerts). 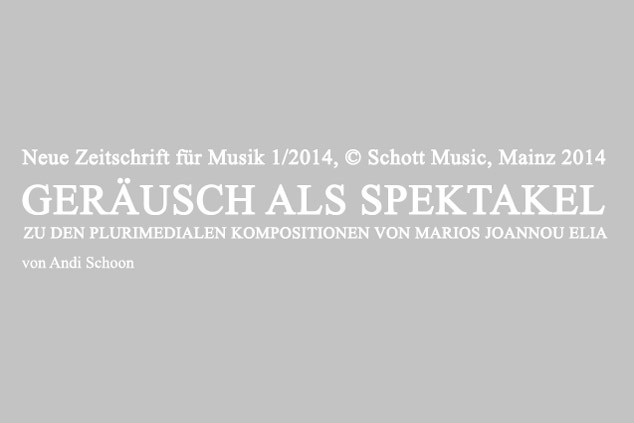 The music video of STAUBZUCKER by Marios Joannou Elia, performed by Miscelanea Quartet Salzburg, is candidate for the “Deutscher Webvideo Preis ’13”, Germany’s most important prize for online videos, in the category AAA (Academy Approved Art). 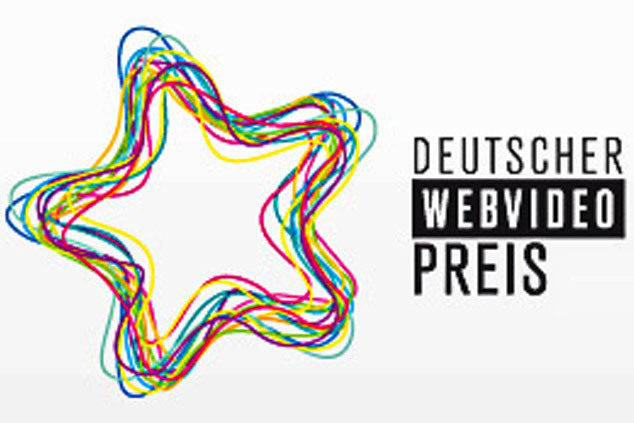 The prize “honours innovative and outstanding online videos from the German-speaking countries”. The music video, which is the only one from the genre of contemporary music in the competition, was released by Aesthis Records in 2012. 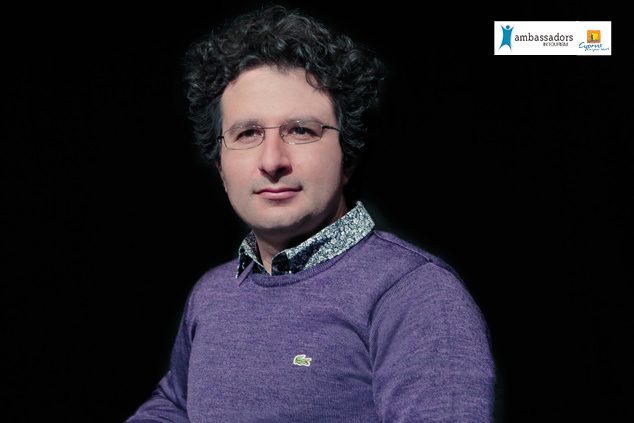 APOPHIS, Marios Joannou Elia’s latest music video release, has been performed by Miscelanea Guitar Quartet and is now acclaimed for its “highest quality and outstanding playing” by the Canadian online guitar magazine This is Classical Guitar. Aesthis Records, which is run by Marios Joannou Elia, is a label with a visionary approach to classical, contemporary and electronic music, including an original exploration of crossover aesthetics. 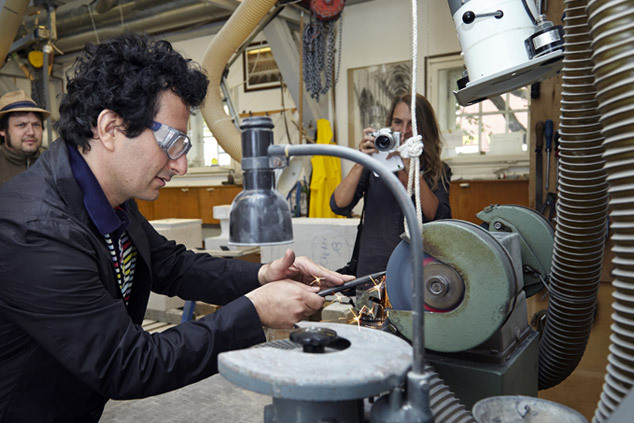 Aesthis employs a creative application of the finest high-tech instruments (analogue and digital). 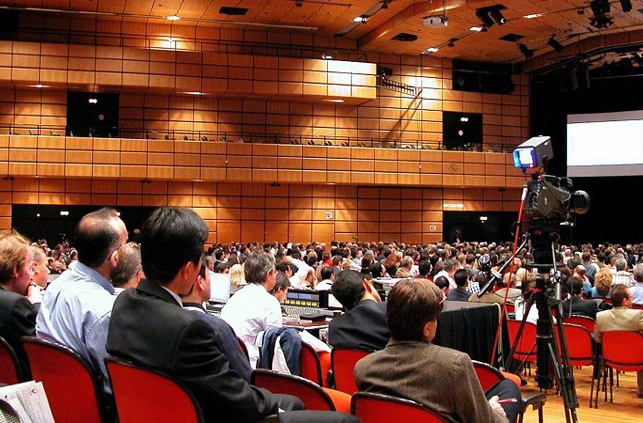 For complex and large-scale projects, Aesthis collaborates with worldwide leading studios, such as the ORF RadioKulturhaus of the Austrian Broadcasting Corporation in Vienna and Abbey Road, London. The label also owns a specialised studio for electronic music. The staff, including an ex acoustics engineer from Harman International, carry out scientific research and project-based development on an ongoing basis. 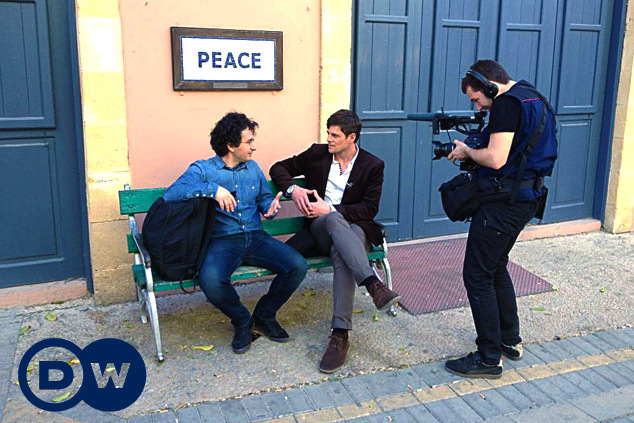 In April 2013 Deutsche Welle visited Cyprus, to conduct an interview with Marios Joannou Elia in Nicosia, Europe’s last divided capital. 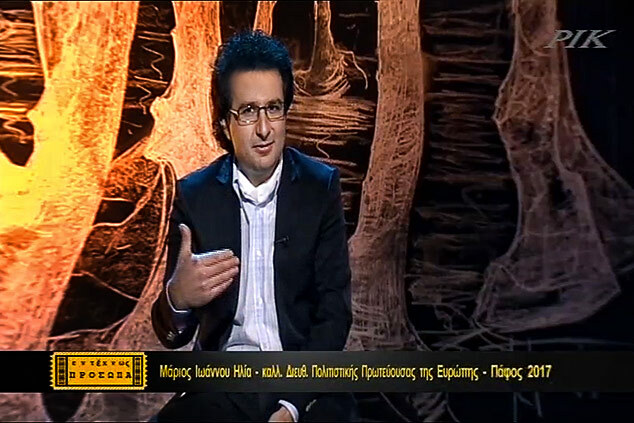 The chief editor and team of Deutsche Welle’s cultural programme “Euromaxx – Leben und Kultur in Europa” hailed Elia as the most important representative of Cypriot Culture in Europe in particular declaring his work AUTOSYMPHONIC as one of the most important Highlights in Europe for many decades. DW reporter, Mischa Heuer, was searching for the sources of inspiration in Elia’s work, in respect of his oeuvre as an integral part of Cyprus’s cultural image. The documentary film was broadcast worldwide on July 7, 2013 – in German, English, Spanish and Arabic. 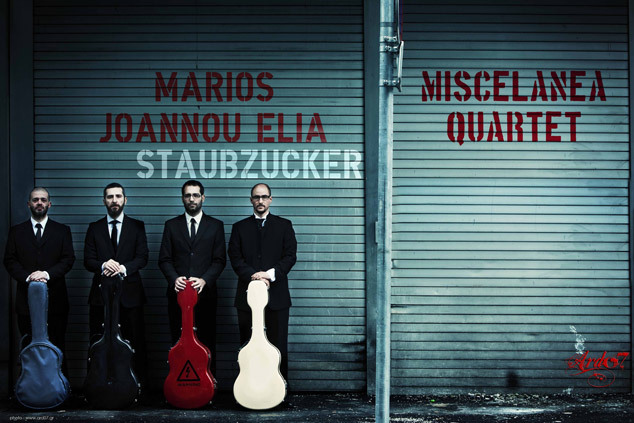 To date, the collaboration between Marios Joannou Elia and Miscelanea Guitar Quartet Salzburg has been unique and highly successful. It began in 2007 with the premiere of STAUBZUCKER in Salzburg. Since then, the quartet performed STAUBZUCKER and APOPHIS all around Europe, South America and the United Sates. 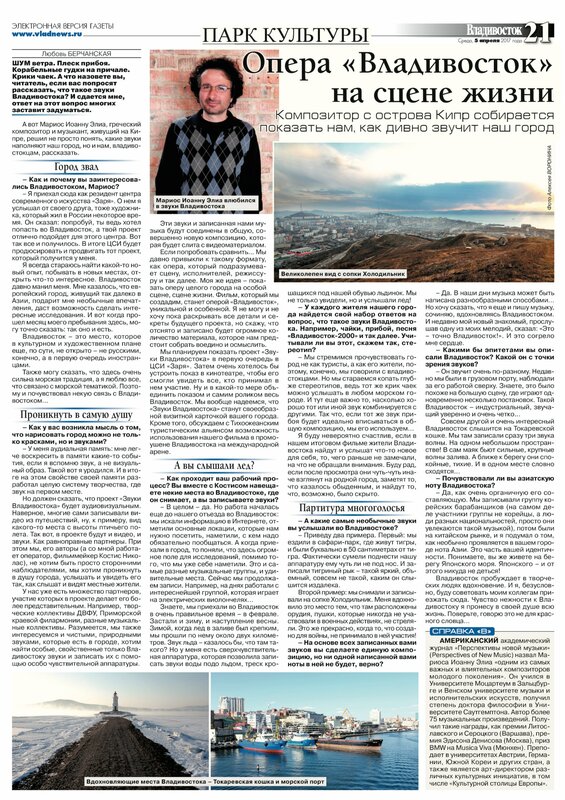 The new work is planned to be premiered at Casa dei Mezzo Music Festival 2013 in Crete, Greece. There will be further performances at Boston GuitarFest 2014 (USA) and “Passauer Saiten” Guitar Festival 2014 (Germany), amongst others. It will be released on Miscelanea Quartet’s coming CD Album. Aesthis Records will produce its music video. The music video of APOPHIS by Marios Joannou Elia, originally composed in 2001 for clarinet quartet and arranged for guitar quartet in 2008, is a production of Aesthis Records, London. 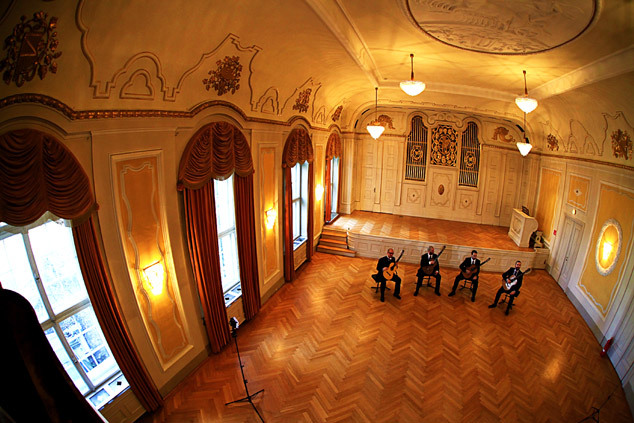 The filming took place in the City of Salzburg; the music is recorded by Miscelanea Guitar Quartet at the ORF RadioKulturhaus studios in Vienna. The title, APOPHIS, refers to the Egyptian God of darkness and chaos and, at the same time, at the homonymous asteroid (99442) that has a possibility of striking Earth in 2029.